What can I say, Peeler is GREAT! His bootcamp is very tough, but he uses very basic moves…it’s almost like being at recess all over again! Brian Peeler might be most well known for his role on the Bravo TV Reality hit, The Workout! He is easy going, but tough at the same time. 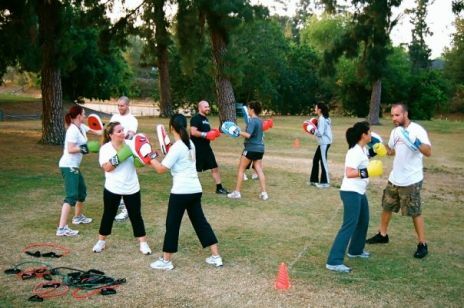 The bootcamp meets in Woodland Hills at Warner Center Park on Tuesdays and Thursdays, from 10:00-11:00am. He also has a Studio City location, which meets on Monday and Wednesday nights. The class is reasonably priced, and the results speak for themselves. I saw an ad on Jen’s List for Brian Peeler’s bootcamp, and replied right away! I had seen Brian on the Bravo show, The Workout, and knew that I was in for an amazing time. The class consists of all women, and everyone is so supportive and friendly. Peeler, as he likes to be called, is very calm, funny and motivating. Peeler likes to mix it up, I can honestly say that the class was never boring. From tug-of-war, to the bear crawl, to boxing, there is always something new and exciting. 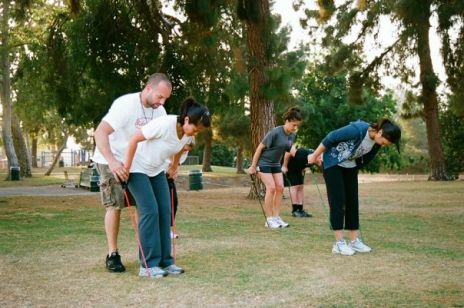 It’s an outdoor bootcamp, so bring plenty of water and load up on your sunscreen, but don’t forget to have fun!!! Brian rocks…this Boot camp is the best workout I have ever done.